BOOK REVIEW: Bogusława Dobek-Ostrowska, Gunnar Nygren (eds.). (2015). Journalism in Change. 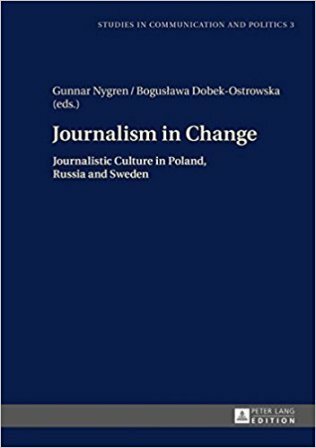 Journalistic Culture in Poland, Russia and Sweden. Frankfurt, Berlin, Bern, Bruxelles, New York, Oxford and Warszawa: Peter Lang Publishing, pp. 333, ISBN: 978-3-631-64921-3.